Material Design & Digital Fabrication in Architecture workshop at the Tampere University of Technology, Tampere, Finland in 26.8. – 4.9.2011. Guest lecturers and teachers include Sebastien Delagrange (OMA, AA) and Gilles Retsin (LAVA, AA) and as tutors, Emmi Keskisarja (Tampere University of Technology), Pekka Tynkkynen (Tampere University of Technology) and Toni Österlund (University of Oulu). Workshop includes students from Tampere University of Technology, University of Oulu and Aalto University. 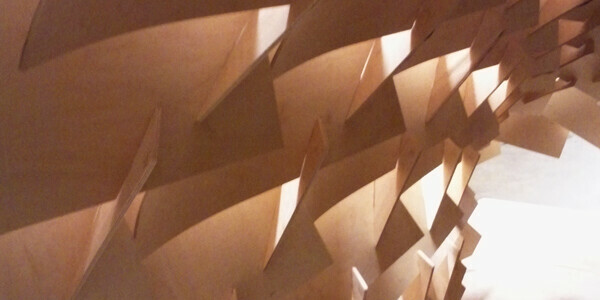 The goal of the workshop is to produce a pavilion for the Tampere architectural week, using UPM Grada, bendable plywood.